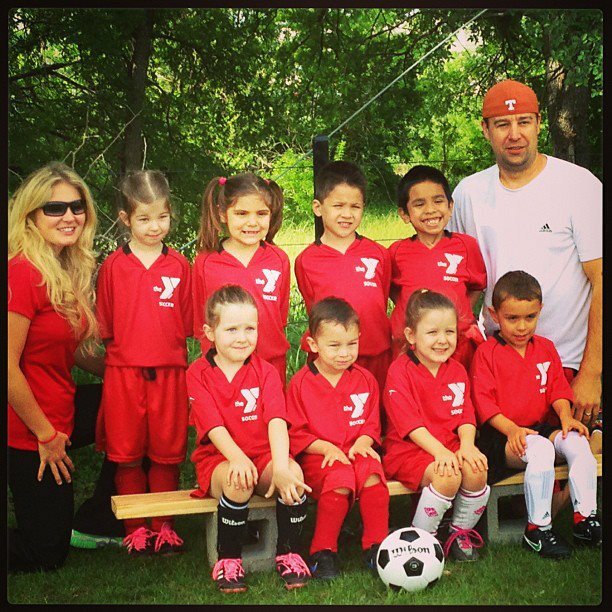 Bella's soccer team... The Rockies! A little weekend update which never happens with me, but I'm so proud of my baby girl, so I wanted to brag a little! She scores goal, blocks the ball, & even took a soccer ball to the face on Saturday. She was fine no bleeding or loose teeth, so she got back out there to finish the game! I never played soccer, so she definitely got her skills from The Hubs! Hope everyone is having a perfect weekend!